Box Set was made to house a collection of mix CDs burned for a co-worker’s going away present. 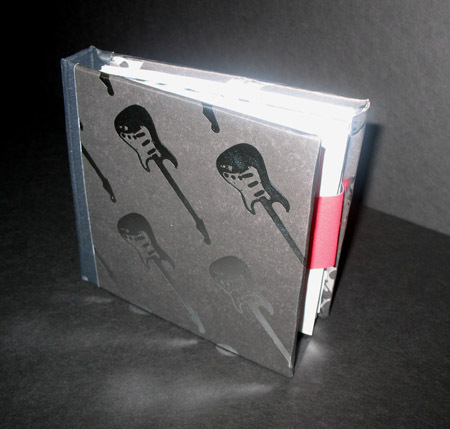 The cover paper is black with metallic guitars. 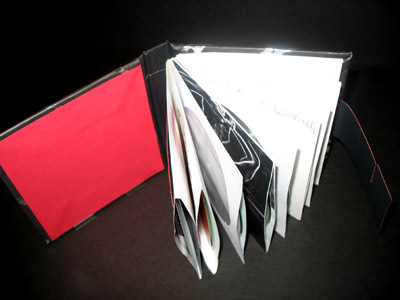 The “pages” are paper CD sleeves bound together with two types of tape. 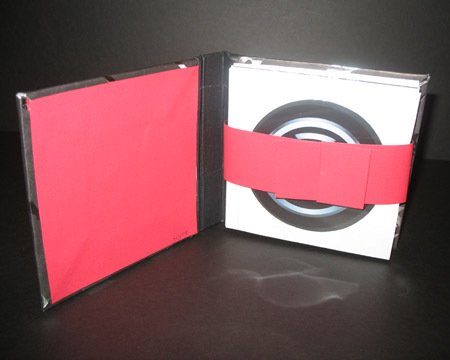 The CDs are held in place with a belt of red paper/black fabric tape.